Stock compensation plans play a valuable role in getting the most from your team. While they’re not a cure-all for lagging individual performance, people have a remarkable way of finding success when sufficiently incentivized. Funny how that works, huh? Go figure. Anyway, one of the most significant drawbacks in using such plans is their complicated nature. Even to professionals well-versed in the native stock comp tongue -- vesting, grants, forfeitures, ISOs, and countless others -- they can be intimidating to the point where organizations become hesitant to implement them in the first place. Thankfully, technology has a way of easing such burdens and, true to form, companies have abundant software options to clarify, simplify, and streamline a stock comp plan. Given our insight into such matters, Embark wanted to take a few moments to discuss a few of those software options and help you make a well-informed decision. No software solution will work miracles. Like most things in life, you’ll only get out as much as you put in. What exactly do we mean with these vagaries? You need to understand your plan, organization, and team before any serious search for a software vendor begins. Start with some focused, stare-in-the-mirror soul searching and identify the particular features and functions you need to get the most from your stock comp plan. Big, complicated plans with a significant number of moving parts might not naturally lend themselves to a lower-level, basic spreadsheet solution. That isn’t to say that more elaborate, proprietary platforms will always best serve those specific needs. However, it does illustrate that every plan and enterprise carries with it particular demands and implications, so a little due diligence on what you and your plan need will go a long way in finding the ideal vendor for you. So on that note, let’s look at a few vendors to help guide your decision. CompensationXL is a comprehensive, SaaS (software as a service) comp solution that is well-rounded and beneficial to companies of all shapes and sizes. It focuses on providing sound reporting as well as facilitating the ever-important communication between management and compensation specialists. It works for all of the most popular types of stock compensation plans and their EQUITY module is particularly adept at planning and tracking various vesting schedules, regulatory requirements, valuations, and several other factors in a concise but comprehensive reporting system. Harvest HCM is another SaaS solution that offers a variety of integrated solutions for compensation professionals. Most germane to this discussion, however, is their Compensation Management and Planning Software System, a proprietary system that eliminates traditional spreadsheets in favor of a cloud-based, always available platform. Harvest HCM automates many of the more laborious requirements of stock comp plan maintenance, also utilizing customizable dashboards to continually highlight the data and functions most applicable to your plan and organization. Maintaining the SaaS trend, CompAccelerator prides itself in its scalability. By design, the platform benefits all sizes of enterprises and can grow along with an organization. According to their own estimates, CompAccelerator can save employers as much as 90% of the time and resources required to sufficiently maintain a stock comp plan relative to other solutions. It also excels for companies with a global footprint, integrating local and corporate currencies into an intuitive interface. Formerly known as eShares, Carta is a popular stock comp solution that utilizes a single platform to give both private and public companies as well as investors a dashboard-driven window into the many moving parts of a stock comp plan. It’s an exceptionally thorough solution that provides any insight a company might need, but that in-depth approach makes Carta particularly powerful for larger companies and perhaps a bit too much in terms of complexity for small to midsize companies. 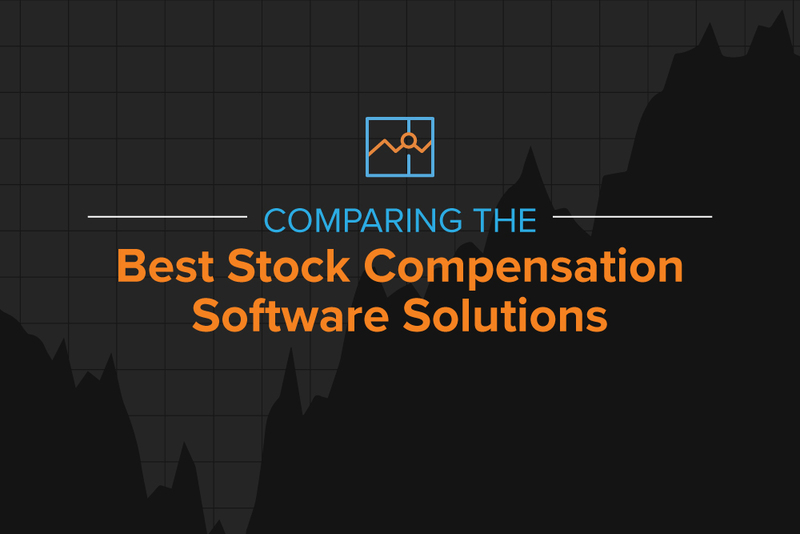 There’s a reason why over 10,000 companies use Capshare as their stock compensation software. Extremely intuitive with outstanding customer support, Capshare adds tremendous value to those small to midsize companies that might feel like Carta or some of the other solutions are too complex for their needs. For those that want to avoid as many spreadsheets and stacks of paperwork as possible without sacrificing insight and function, Capshare is likely a good fit. Like most of the other discussed solutions, Capshare offers a demo for you to give it a spin to make a fully-informed decision. Of course, these are just the basics behind some of our preferred plan software solutions. As always, Embark encourages you to take a deeper dive into each, identify the specific capabilities you need from a vendor, reach out to the sales teams, and discover which fits your plan and company best. Your stock comp plan is too important, too complex to rely on half-measures. And like a financial Tom Joad, Embark will be here along the way.